CONCERNS over further outsourcing of services at West Sussex County Council were raised during a debate on a programme to improve customer services. The council’s Performance and Finance Select Committee discussed the new Customer Experience Programme, which will aim to deliver a better and more consistent service, and allow residents to do more online, reducing the amount of phone calls the authority receives. However, councillors focused on the plans for a new customer services hub, and what scope there was for further outsourcing, as Capita already runs the county council’s contact centre. 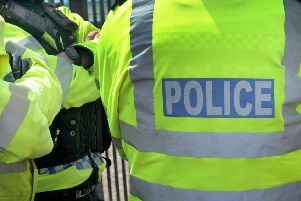 Officers explained at last Thursday’s meeting that the changes would affect around 470 staff, and in time some might want to move to part-time contracts, or be employed directly by Capita. Dan Sartin, UNISON branch secretary, said that while the union was in favour of excellent customer service, he questioned any moves that would further embed Capita into the county council’s ways of working, making any contract with the company ‘too big to fail’. At a time when the motivation of Capita staff was ‘poor’ and WSCC was already examining the ‘underperforming’ contract, he felt they needed to ‘pause for thought’ before ‘putting all their eggs in one basket’. But Bob Lanzer (Con, Maidenbower), WSCC’s cabinet member for corporate relations, said there was ‘no mass outsourcing’ planned in the option they were recommending, and that the primary driver was improving customer satisfaction and experience, rather than savings. Peter Lamb (Lab, Northgate and Three Bridges) asked why they were making changes at a time when they were resetting the Capita contract, raised concerns over a lack of real key performance indicators and questioned the need for a ‘wide ranging programme without a wide ranging problem’. Concern was not limited to opposition members as Steve Waight (Con, Goring) said he would have expected to see the investment and savings for each of the three options, and a detailed breakdown of the £2.3m savings. Deborah Urquhart (Con, Angmering and Findon), chairman of the committee, summed up members’ concerns over a lack of detail and data. A vote to support the new customer services model was tied, but then a second vote to support the changes ‘in principle’, subject to seeing the full figures at the next meeting, was passed.